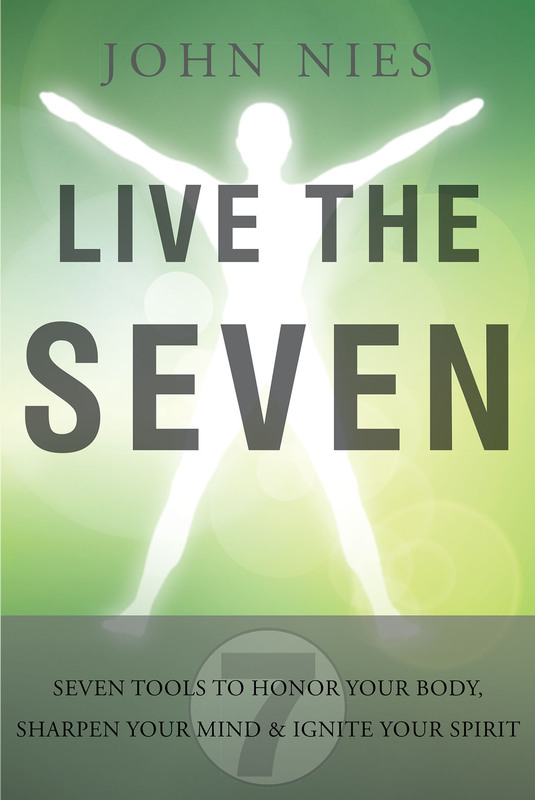 John Nies's New Book "Live the Seven: 7 Tools to Honor Your Body, Sharpen Your Mind & Ignite Your Spirit" is an Invaluable Guide to Changing and Improving Lives. Ocean, NJ, February 13, 2018	(Newswire.com) - John Nies, a motivator, a quintessential family man, and a lover of planet Earth as well as all its occupants, has completed his most recent book “Live the Seven: 7 Tools to Honor Your Body, Sharpen Your Mind & Ignite Your Spirit”: a powerfully engaging work that is aimed at improving lives and strengthening the reader’s bond with the world. Published by Fulton Books, John Nies’s book shares his fabulous outlook and plan to live a full and meaningful life. He says, “If you want authentic power; to live a life with peace of mind; to create mental, physical, emotional, and spiritual harmony for yourself; and have the ability to love and be loved, then you’ll want to learn and make the Seven Disciplines a part of your life”. 1. “Nourish your body.” The Live the Seven eating philosophy centers around eating as close to nature as possible as the path to living a healthy, disease-free existence. 2. “Breathe with intent.” This discipline advocates meditation, visualization, and Qigong practice to interrupt the daily cycle of repetitive thinking, give the mind an opportunity to rest and revive, and tap into a powerful energy source within. 3. “Elevate your Chi.” This speaks to live the Seven’s ancient energy-building exercises using breathing techniques and a mind-over-body philosophy to break through perceived physical limitations to new heights. 4. “Know thyself.” This discipline advocates the importance of self-development and pursuing a unique purpose as a means to personal empowerment. 5. “Pray for others.” Express gratitude for life and sympathy for those less fortunate. This discipline promotes a sense of appreciation for life while keeping the perception of suffering grounded. 6. “Connect with nature.” Reconnect with and develop respectful habits toward nature and the earth and its abilities to nourish every body, mind, and spirit. 7. “Serve your world.” This discipline calls to mind the importance of making a contribution to society through charitable deeds and positive actions. Each of the Seven Disciplines addresses physical, mental, and spiritual challenges and by design will help to elevate one’s Qi, the life force energy, in all people. This book will teach readers how to integrate these principles and methods into their life. Readers who wish to experience this inspiring work can purchase “Live the Seven: 7 Tools to Honor Your Body, Sharpen Your Mind & Ignite Your Spirit” at bookstores everywhere, or online at the Apple iTunes store, Amazon, Google Play or Barnes and Noble. "Live the Seven: 7 Tools to Honor Your Body, Fulton Books, John Nies, New Books, Sharpen Your Mind & Ignite Your Spirit"